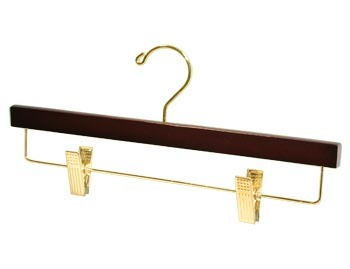 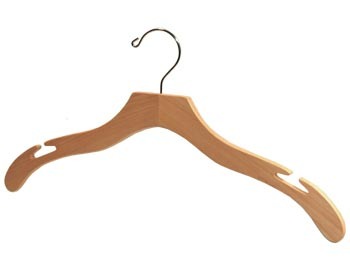 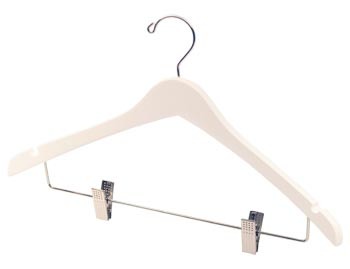 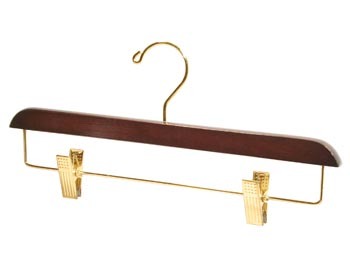 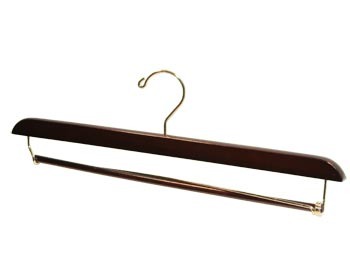 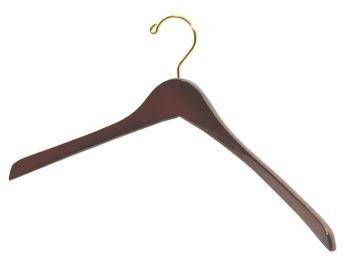 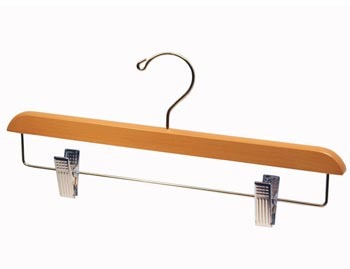 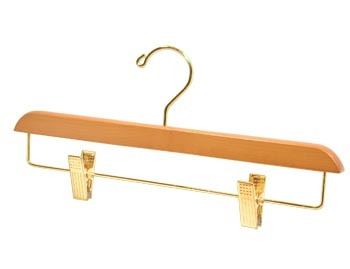 Hanger Store provides quality wooden bottom closet hangers in 14" and 17" sizes. 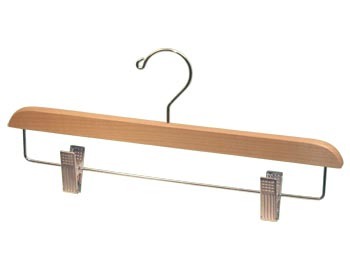 These wood clothes hangers are made from 1/2 inch thick maple, walnut or natural hardwood and come in a clear, light or rich brown stained finish. They fit most mens and womens sized clothing and have either movable cushioned pinch grip clips or a locking drop pant bar. 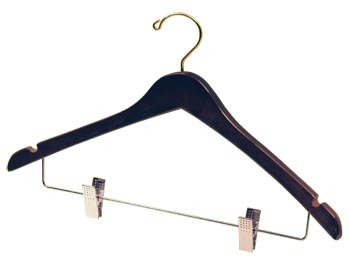 They are great for hanging dress slacks, jeans, pants and trousers, short or long skirts, dresses, shorts and even kilts. 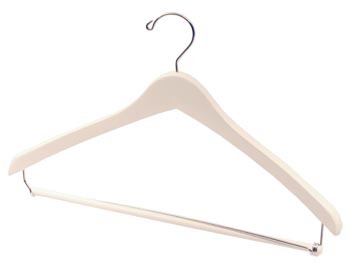 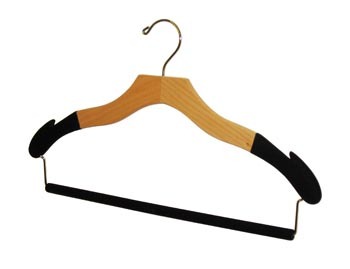 We also offer Wooden Top Hangers, Custom Bottom Hangers and Wholesale Wood Hangers.